Home Specials Let there be friends! Like me, you may also wonder why special ‘days’ have to be attributed to human relations, but then again, like me, you would also like the vibes of the day, all over the town. Some days remind us of forgotten relations, some relations are rejuvenated by days. In a small city like ours where you bump into someone you know every five minutes on the way to work, a day dedicated to friendship brings back a deluge of memories. There’s something about friendship that stays the same, whatever age you are. I have seen with astonishment how my father would transform in the company of his school friends. Today, almost 25 years after leaving school, I find that they are still the best friends one can ever have. The Shahapur, Hindwadi, Tilakwadi, Sadashivnagar of yore had scores of school friends all around the neighborhood whom you could approach for play or home work. Friendship then, was not about being tagged on Facebook but whom you missed in the class, at lunch and the school bus. All friends were dear, the neighborhood friends from other schools, the bus friends, rickshaw friends, school friends, friends of friends. Today, I see some new categories, just-friends, hi-bye friends, FB friends, Tuition friends. As long as friendship stays the same, and it does stay for long, its fine where you make friends. Friendship needs no place to blossom, wherever you meet, turns into a world of your own. Have you seen groups of friends lost in this world near colleges? At Nath Rasvanti Gruha? At Dominos? Even for a birthday bash at Saffron, they’re in a world of their own, totally ignorant of who’s around. At my institute, I see kids from KG to PG bonding with friends and they don’t look any different. Seeing a friend or being with one is a sure-shot way of inducing a smile on your face. Things that you don’t like on your plate at home, somehow become tasty when the friend’s mother makes them. My best friend’s mom made potato wedges and sent a boxful in her school tiffin which we polished off, much to her dismay. I make wedges several times, but it reminds me of her’s always. Sharing is very crucial in friendship. From secrets to food, from clothes to bikes and even notes, we share everything unabashedly. The world is alive mainly because of friends. Wherever you see joyous crowds, 9 out of 10 times, it is with friends. 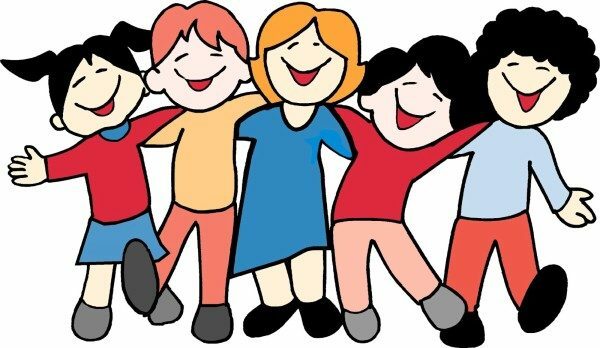 So tomorrow when you see kids and youth and middle-aged folks wearing the friendship band or celebrating Friendship day, pause a while and remember your friends. Call somebody and make her day. Meet up with those in town. Write handwritten notes and send on whatsapp to remind of the school days. Make a dish that your best friends savored and serve your kids. Use words you spoke with friends. And most importantly, be happy that you have friends who give you a reason to smile!